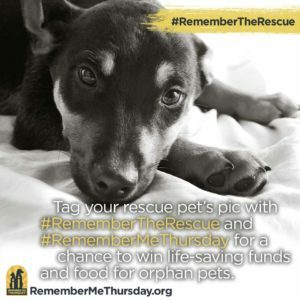 Today is Remember Me Thursday, a global event and awareness campaign designed to bring attention to homeless pets in shelters around the world as well as honor the millions who lose their lives before finding homes of their own. First he was Buddy, then Jack, and finally Frankie. His first adoption lasted only 24 hours. Buddy was a six-month-old, brown and white puppy with ears and paws too big for his scrawny body. He was listed as a shepherd-mix like most of the other dogs in the shelter, regardless if they actually were or not. Buddy was an impulse adoption – a cuteness misstep. A father brought him home for his kids without consulting his family. He was adorable, but not housebroken. His wife said she already had two messy kids and didn’t want another one. Buddy’s mother was a farm dog that should have been spayed, but never was. Every summer the farmer drove over twenty miles to the shelter with anywhere from two to six puppies. He was the only male in a litter of three from an extended family of over thirty, only half of which made it out of the shelter alive. Kate adopted Jack, formerly Buddy, the summer after college. She was in that crazy, mixed-up transition phase and had not a clue what she wanted to do. Her mother suggested she adopt a dog to give her life purpose. She chose Jack because of his enormous paws. At just over six-months, his paws had grown faster than the rest of him and he couldn’t really walk without tripping over himself. Jack spent days and nights with Kate in her room – her childhood room with its faded pink and purple from middle school and her white desk that felt too small in the same way Jack’s paws were too big. Sitting at the cramped desk with Jack at her feet, she spent hours staring out the window trying to figure out what came next. Jack eventually grew into his paws and Kate into herself. They had five great years together, but when she finally moved into her own apartment Jack ended up back at the shelter. 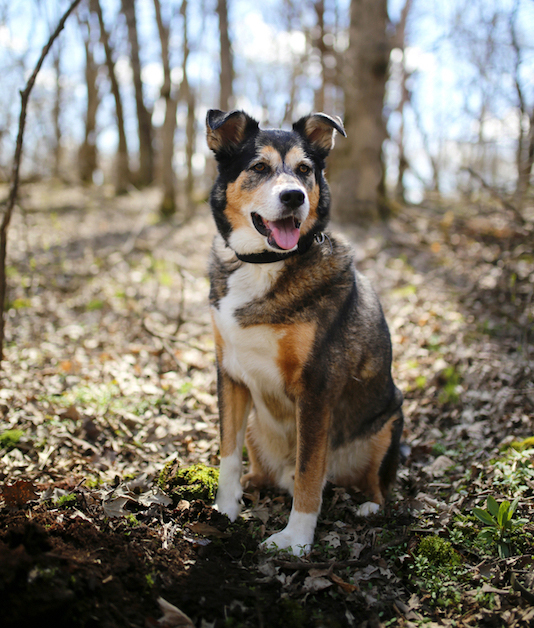 At almost six, Jack, formerly Buddy, was living on borrowed time. The shelter needed space for younger, more adoptable dogs, possibly even some of his younger siblings from his farm dog mom. Two sisters visited Jack at the shelter. The older one stood above him, the condensation from her soda dripping on his head, while the younger one gave him hugs. She was kind of a mess with tangled hair and pizza sauce on her face. Jack gave her a big wet kiss – he only wanted the sauce, but the little girl fell over laughing and before he knew it, he was walking out the door with them. Home #3 wasn’t perfect, but it was a home all the same. There was lots of fighting and sadness and sometimes not very much to eat for the sisters or for Jack, now Frankie. Their single mother worked long hours and sometimes forgot to take him out, but he didn’t mind. The sisters had saved him and he was determined to save them back. Just as he was feeling at home, the mother was offered a job and a fresh start in a new state. Frankie knew all about starting over and also about being left behind. The day before they moved, the younger sister walked him over to her best friend’s house. She didn’t notice his matted fur or his smell, but the new family did. Through her tears, she assured them that he was a good dog – and he was. The new house was quieter, just two parents and one girl, sad sometimes, but not always. Frankie was fed, walked, and bathed on a regular basis, all good things. But he still spent the first few weeks standing on his hind legs, enormous paws (they were still big) on the windowsill, looking out just in case the sisters came back for him. Frankie hated thunder and lightning, secretly enjoyed wearing berets, and loved chips so much he could hear a bag open from anywhere in the house. He celebrated holidays and family milestones; went on vacations and road trips, learned to play fetch, and walked around the yard freely, greeting anyone who passed by. For kicks, he liked to bust open the girl’s bedroom door when she had friends over and sometimes did the same thing when she overslept. When she went away to college, he slept on her down jacket, knowing she would eventually come home. As she grew up, he grew old. Frankie slowed down and his fur greyed like laugh lines on a human face. When he could no longer manage stairs, enjoy his food, and all the things he loved, he and his family let go. The fourth time was definitely the charm for Buddy, then Jack, and finally Frankie. But what if the shelter had been too crowded when the farmer brought in Buddy and his siblings or when Kate returned him five years later? What if the sisters never visited the shelter and his time and luck ran out? What then? 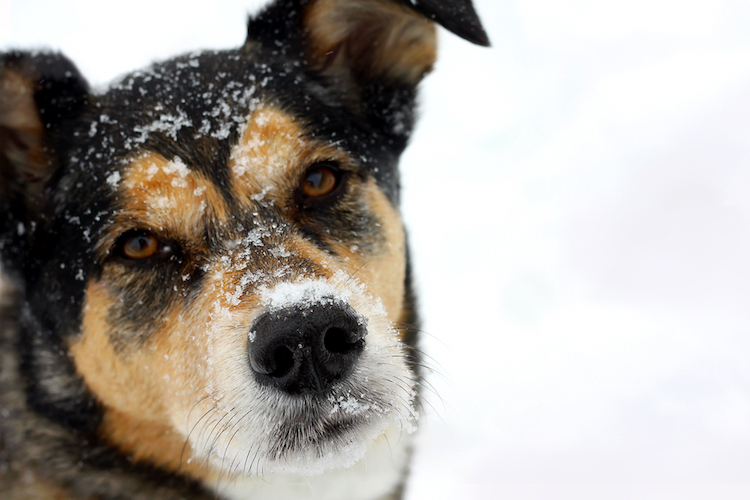 According to the ASPCA, approximately 7.6 million companion animals enter shelters nationwide each year. Of those, approximately 2.7 million are euthanized (HSUS estimates it higher at 3.4 million). 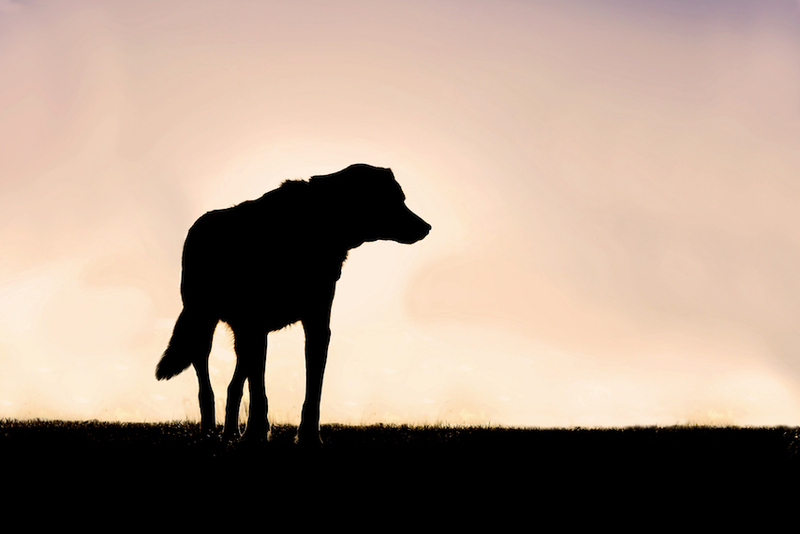 An animal is euthanized every 13 seconds in the United States (HSUS). These numbers only include cats and dogs and would be much higher if other companion animals, like rabbits (the third most popular pet in America), were also counted. In spite of such grim statistics, only 29% of Americans looking for a pet choose to adopt from a shelter or rescue. Please take a moment to reflect on the millions of animals who lose their lives in shelters every year – animals who never get a second, third, or fourth chance. In the five minutes it took to read this post, approximately 23 more animals were euthanized. Every single one of them deserves a home and someone to love. Homeless pets do make great pets. Mom's first dog was from a shelter and she was forever grateful to mom for adopting her. Our kitties are also all shelter kitties. Spay and Neuter!Adopt, Don't Shop!Remember the shelter animals! Buddy/Jack/Frankie's big paws trod a difficult path through live, but he knew more love than many abandoned pups. Thanks for telling his story. A most excellent post Miss Kristin. So true. The perfect illustration of what this day means – and what dogs and cats face daily in shelters. Thanks so much for sharing Buddy/Jack/Frankie's story! A roller coaster ride for sure, we are glad Frankie was lucky enough to find so much love. Great post! Adoptions are just the best and every critter deserves that happiness! So sad. We have a supposedly intelligent friend who wanted his dog to have pups, saying he'd just take them to the pound…. We wish all dogs could find loving homes. VIP—very important post. That was a sad but beautiful story. I hate humans that can move on and leave their fur children behind like old clothes. I'm my dog's third and final home. He's been through a lot. I can't believe people can spend five years with an animal then lose interest. Unbelievable. Too bad this wasn't something they had to list on their resume: returned best friend to shelter. Frankie had a rough life but we're so glad his last years were happy ones. If only that farmer would spay his dog so many lives would be saved. Thanks for participating in this important day! Our paws are crossed that together our voices will be loud enough to make a difference. Thank you for spreading the word about this amazing day!! I love that this was a thing. 🙂 So important to spread the word about adopting and rescue. This is such an important issue. It really should be spotlighted everyday. I feel so bad for those pups that never find a forever home. Really makes you realize how lucky those that find a home really are. That's a number of homes! I'm glad the last one worked out well. We're technically Mr. N's third home if you count his foster home. These photos are beautiful. Animal adoption is so incredibly important. I love hearing stories of how people found their forever pets. This is a wonderful campaign! What a special day. Thanks for sharing these pups. I'm in love with Frankie. <3 I wish people would be more responsible when bringing a pet into their home, so they all had their forever homes from the start. I still can't believe people own pets and are SAOOOO stupid they never get them neutered THEN get surprised when I dog has puppies. Well, really!?!?!?! This makes me so mad I get even, I promot animals from shelters, I will never stop. OMG what a beautifully written story of Frankie and his families- I am crying. Kilo had a similar start- 4 homes in 2 years. He was lucky we found each other as we have had the time and resources to look after and train him. So important to spay and neuter, and to not make impulsive decisions about pets so less go into shelters in the first place. Then to spread awareness about adopting. Things are actually a little better in Toronto and some other major cities in Canada lately apparently with fewer dogs looking for homes. In my mind I'm referring to this beautifully retold story as Finally Frankie's story. A good reminder for me to get over to our Humane Society's store this week and donate for their new larger facility. This is a lovely story, and it breaks my heart that not every dog gets so many chances. Our dog Theo was only in the shelter for 3-4 weeks, but not one person was interested in him, until we walked in. If he had been in a city shelter, he probably would have run out of time. What a great post, Kristin. Shelter animals like Buddy/Jack/Frankie need us all to advocate for them. Thank you for doing so in such a powerful way! This post brought tears to my eyes! I know I should not be judgemental but there are so many reasons why pets end up in shelters, most of which are due to human negligence and stupidity. So glad this had a happy ending. Most shelter dogs are not that lucky. This was so beautifully written, I am in tears! Poor Frankie. This reminds me so much of Bailey in A Dogs Purpose. I start crying just thinking about all of Baileys families. 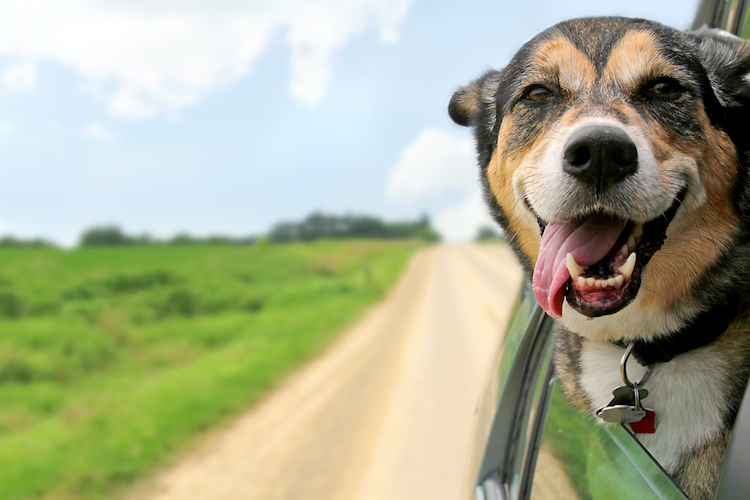 From the dog's perspective, it doesn't take much to make them happy. But we humans fail at even that sometimes. That shelter should have intervened with the farmer when he brought in the first litter and offered him a discount or free spay in order to prevent all of the future puppies going to the shelter. This shows how adaptable dogs can be. Frankie made the most of each situation. It is so frustrating that the farmer didn't spay his dog and this story is the perfect example of why spay/neuter is so important. What a sad post, but happens all to often too many dogs! Hopefully shinning light on this important topic with help many animals! It is amazing what dogs can go through and still have hope for a good life. A human would be very broken after being rejected by all of those families! I'm glad that Frankie was able to finally find someone that wanted him forever. Adopting a pet is a real blessing. I can't imagine my life without my adopted kitties. It's so sad that so many pets don't get their perfect forever home the first time – or any time. We need to change that! 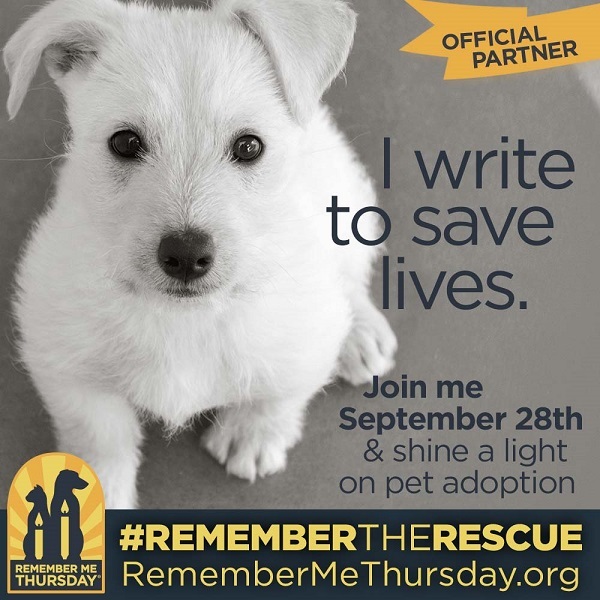 And Remember Me Thursday is a great way to shed light on homeless pets.